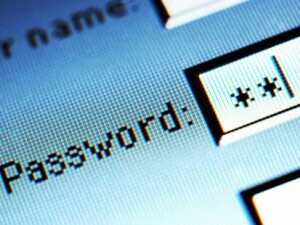 Despite a year filled with several password breaches from high profile sites like LinkedIn, eHarmony, Last.fm, and Yahoo! Internet users are still using extremely poor passwords. SplashData, who is a developer of the SplashID Safe line of password management applications, releases an annual list in the holes that it will encourage the adoption of stronger passwords (and use of their software I assume). My favorite is the inclusion of ‘password1’, because you know… adding a 1 makes it totally secure. Between the Yahoo! 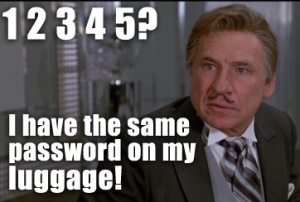 break of nearly a half million login credentials stored in plain text, and the thefts from LinkedIn, eHarmony, and Last.fm there was a grand total of about 8 million passwords posted to hacker sites in in June so we have a fairly decent representation of the passwords in use by the general public. The simple fact is that we have SO MANY passwords to remember that we’re lax on security. Suggestions on how to choose a password are readily available online but an easier solution is to use a password manager application like SplashData’s SplashId. My personal recommendation is to use LastPass; then you’ll never forget a password again and you can log into your sites with a single mouse click. It’s drop dead simple, FREE, and includes LastPass Sentry. LastPass Sentry is a new feature of LastPass that will automatically monitor your accounts against known compromised site and inform you if your email appears in a list of breached accounts. LastPass also works with Google Authenticator to provide two-step authentication. There’s a Premium version which includes the ability to use LastPass on any mobile device you own and a host of other features. The Premium version costs $1.00 per month… it’s worth it for your peace of mind. If you sign up through this link you get one month of Lastpass Premium for free.